It is the action packed movie entry on the 40th Metro Manila Film Festival. ”Magnum Muslim” is said to be a tribute movie to the late Fernado Poe Jr. as it is based on his film “Magnum 357.” The all out action movie will be starred by ER Ejercito as he returns for his fourth consecutive MMFF film. Since 2011 ER has been the essential character for the action movies on the MMFF such as “Manila Kingpin: The Asiong Salonga Story,” (2011) “El Presidente” (2012) and “Boy Golden” (2013). This year ER Ejercito will be joined by Sam Pinto as her leading lady. The movie is directed by Francis “Jun” Posadas and is produced by Viva Films. 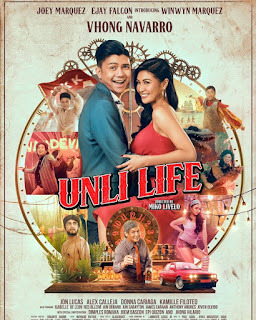 Lt. Jamal Razul (ER Ejercito), a veteran and exprienced police agent that specializes in undercover works, is tracking-down a syndicate leader and faces cold-blooded henchmen in his pursuit to rescue Ameerah (Sam Pinto). Ameerah is a Muslim princess that has been kidnapped by a notorious crime group. Lieutenant Jamal Razul is busy uncovering and catching the real culprits behind Ameerah’s disappearance. While Ameerah’s clan is threatening to wage war on their rival family that they believe was behind her abduction. Will he save Ameerah and prevent Ameerah’s clan in waging war against their rival? Joining ER and Sam are Jerico Estregan, Roi Vinzon, John Regala, Efren Reyes Jr., John Arcilla, and Clarence Delgado. It will be on cinemas nationwide on the 25th of December.